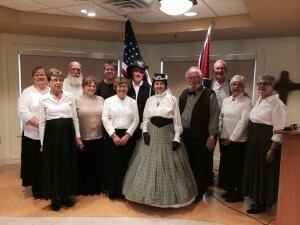 On Saturday April 11, 2015 the Franklin Historical Society as part of our annual membership meeting will present our renowned “Civil War In Song” program. The membership meeting will start at 12:30 PM in the Fadrow room of the Franklin Public Library, 9151 W. Loomis Rd. 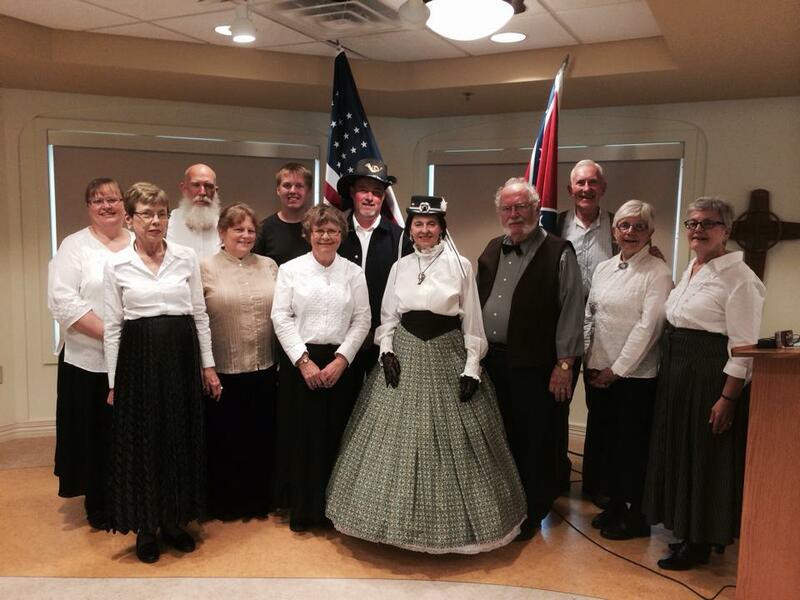 The Civil War In Song program will start at 2 PM. The program is free to the general public. Our guests are welcome to stay after the program for cookies, snacks, coffee and juice, to meet the performers, and to learn more about the Franklin Historical Society. Through the use of music of the period, the “Civil War In Song” program depicts the shifting attitude of the country from the early expectation of quick victory, through the long years of warfare, to the end of the war and the saving of the Union when Johnny came marching home. This program was written and created by the FHS members and is presented in commemoration of the sesquicentennial, 1861-1865.